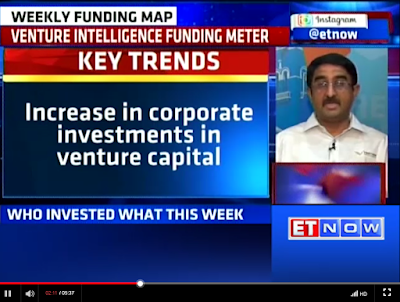 Catch the Weekly Segment of ET Now's Funding Meter powered by Venture Intelligence. The show features Arun Natarajan, CEO - Venture Intelligence covering top Deals of the week and upcoming trends. The week's edition includes rising interest of Corporate investments in startups and VC interest in the logistics space. Click here to catch ET Now Funding Meter for November 11, 2016.